More Celebrities and Their Ridiculously Expensive Super Yachts. Last week we had a look at some of the better known celebrities and their extravagant and insanely expensive superyachts and we had so much fun we decided to do it all again. 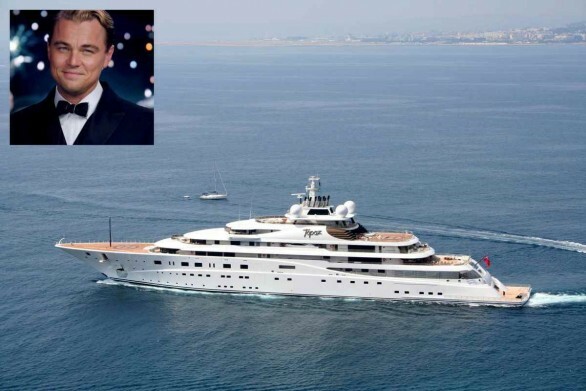 Today we take a look at another 10 Celebrities and Famous Billionaires along with their impressive and ridiculously expensive super yachts. Some sources claim this motoryacht, which was designed and built in Italy by Codecasa Yachts - belongs to Bono, the lead singer of U2 but the truth is that it is actually their guitarist, The Edge who owns Cyan. I think the point is moot as they are close friends, and with Cyan boasting six bedrooms, a jacuzzi, and even a big swimming platform there is plenty room for everyone. 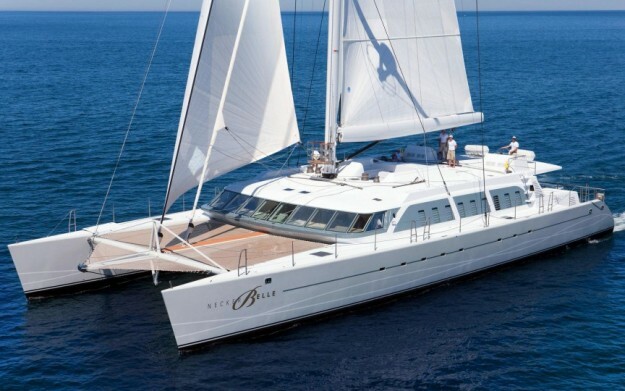 The 140 foot motor yacht has six cabins and room for 12 guests to sleep comfortably. Among its features are a large deck space, a Jacuzzi dip pool, a large swimming platform and a garage for holding all the big boys toys like jetskis and waverunners. Valued at close to $20 million it is actually one of the cheapest superyachts on this list. Bargain!?! 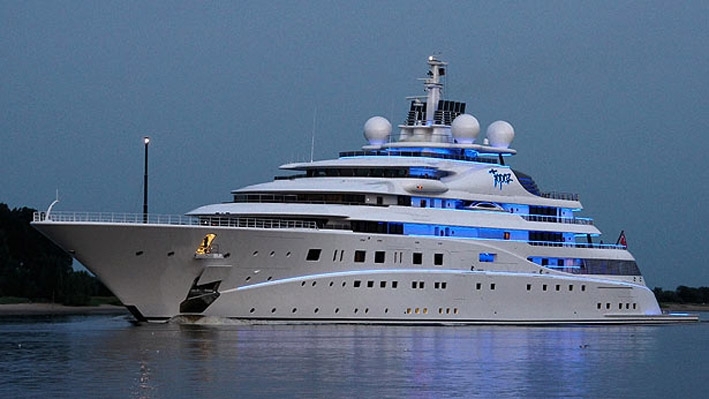 This Lürssen-built, $250 million USD boat exudes the luxury and classy lifestyle of a multi-billionaire like David Geffen. Jacuzzis, swimming pool, lavish cabins and a spacious floor area with a convertible helipad are all packed in this 453-foot long super yacht. Roman Abramovich is the owner of the Chelsea football club and is considered to be one of the richest men in the world. 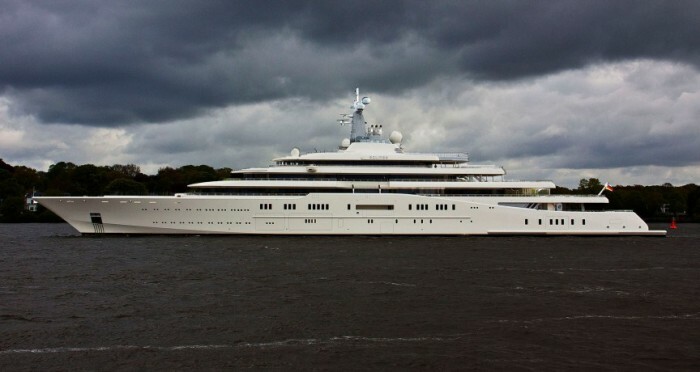 So it is no surprise that Abramovich owns Eclipse, a 536-foot superyacht that cost a total of $1.5 billion to build and is currently the second largest privately owned superyacht on earth. Designed and built to be anti-paparazzi capable, with bulletproof windows, three launches and, of course, a submarine, Eclipse is truly a modern wonder of the shipbuilding world. Oh and Roman owns another 3 superyachts, all worth at least $50million USD?!! 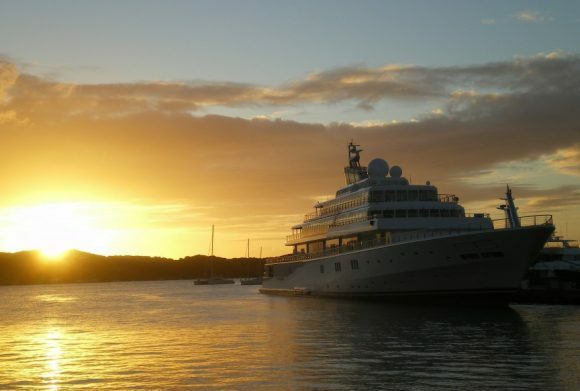 Azzam is a private yacht built by Lürssen Yachts. 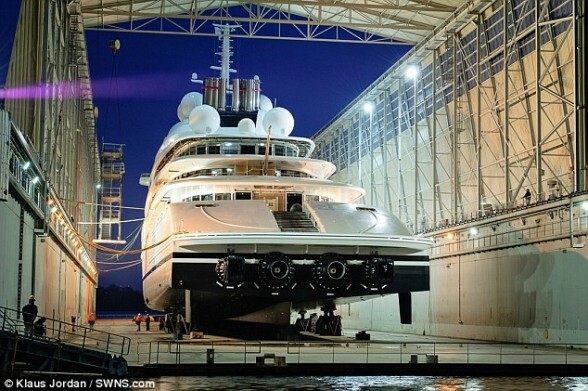 Azzam was launched on 5 April 2013 at 180 metres in length or 590 ft as the largest private motor yacht in the world. It has a beam of 20.8 m and an unusually shallow draft of 4.3 m.
Costing an estimated $10 million to build (small change really) Necker Belle was definitely built for an entrepreneurial adventurer like Sir Richard, boasting a hydrodynamic open-top submarine called Necker Nymp, among it's many technical toys. This submarine can be used in underwater expeditions that can go as deep as 30 meters for short periods of time. 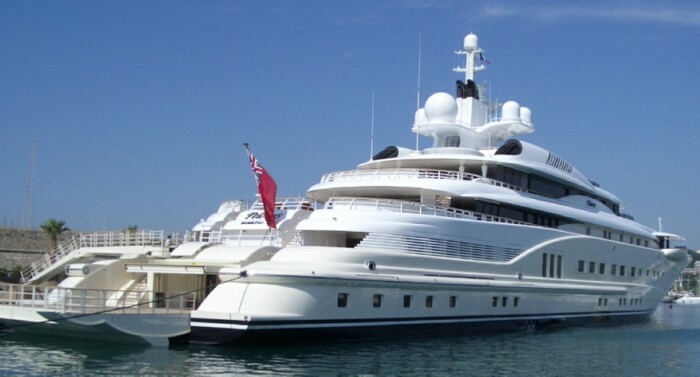 The superyacht Oasis was built at the famous Lurssen Yard in 2006. Both her interior and exterior are designed by Glade Johnson Design. Oasis sleeps 12 guests in 6 staterooms and has a crew of 15. Featuring a sun deck with Jacuzzi, a BBQ, and a gym that converts into a disco Oasis is 195 Feet of floating luxury. Oasis is also a superyacht that is available for charter - if you're so inclined. Costing more than $120million and measuring 260ft in length, Venus is a superyacht that oozes sophistication and class. 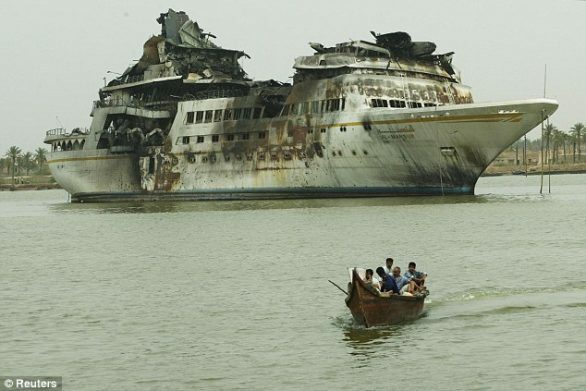 Unfortunately, Steve Jobs never got to board her, passing a year before it was completed in 2012. However, Jobs commissioned the ship in 2008, and the Apple founder enlisted the expertise of designer Phillippe Starck to create his one-of-a-kind sailing paradise. Additionally, he hired the chief designer of the Apple Stores to make structural glass for the yacht. Venus contains six bedrooms and a home automation system to communicate between the kids' living quarters in the front of the ship, and the adult quarters in the back. Venus is crafted with strong aluminum and still, and a row of 27-inch iMacs being used by the ship's captain to navigate in the wheelhouse. Jobs' widow Laurene Powell Jobs maintains ownership of the ship and it is rarely seen. The yacht Lady A was built as an Australian based boat called Southern Cross at Sterling Yachts in Japan. She was delivered in 1986 to her then owner Alan Bond. an Australian entrepreneur, active in real estate, energy and media. In 1992 he was declared bankrupt and in 1997 he was convicted of fraud and sentenced to seven years in prison. In 2015 she was purchased by Lord Alan Sugar and named Lady A. Who is Lord Alan Sugar? 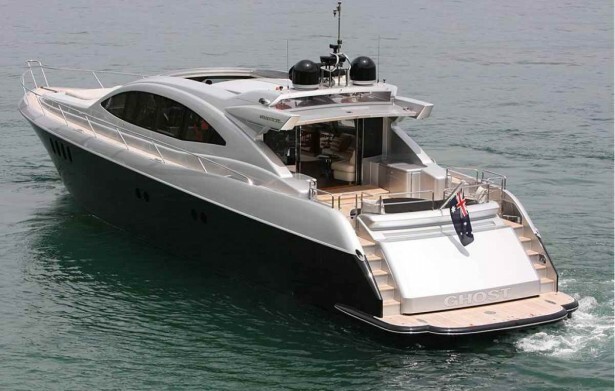 There's 8 filthy rich celebrities/billionaires and their equally lavish motoryachts. But to help us round out the 10 and finish this edition of Celebrities and Superyachts, here are a couple more who may not own their own boat yet but they do love to indulge and often charter their own superyacht . The say that most of these luxurious motor yachts and superyachts are fit for a royal, and when it comes to the superyacht Sea Stream this fact has been confirmed. 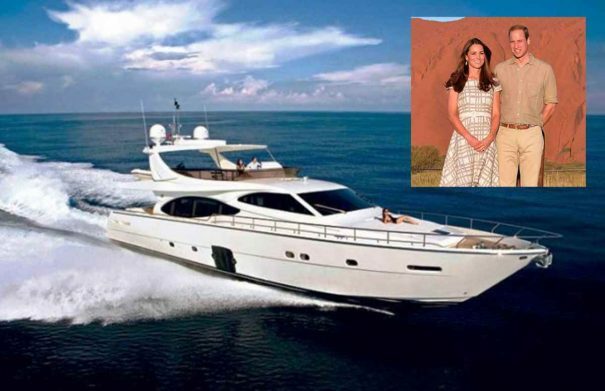 Last seen cruising around the Maldives, Kate and Prince William now have 4 in their growing family and love to spend time together while chartering this luxurious cruiser. They were seen cruising around Sydney Harbour in this boat, the Warren 87 Ghost - a superyacht that just so happens to be one of the many we manage here at Any Boat.